There’s not much snow in Nottingham, sadly, and nothing at all in Derby. Yet still the bus is late and then the traffic is horrific. Takes in all, door to door, 110 minutes to get to work. Great. At least one step in the right direction is that Derby bus station does now have live times on the Trent Bus signs. Oooh technology. Same they’re showing everything as running late. ‘This Girl Can’, so they say. It’s a new promotion. Will it get more people into the gym? Certainly anywhere with a lass pouring with sweat at she pounds away at the equipment would get the male vote, whether it works for other women I’m not sure. 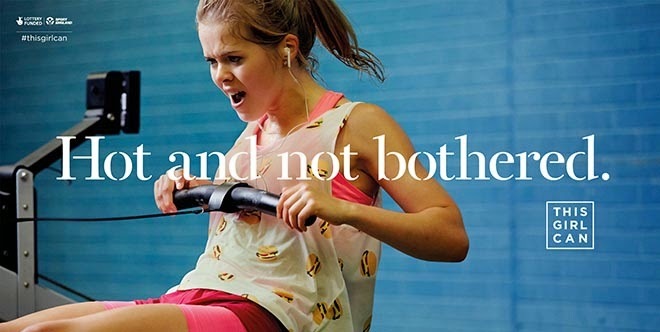 Although it’s a case of preaching to the already converted, the advert has worked it’s magic on L who has booked her first spin class in absolutely ages. I’ve also booked us both in the Alsager 5 race next weekend. Along with the ‘this girl can’ video there’s several for a couples workout. I tell L I’m free this evening.